A majority of Americans support free trade with Latin America, but say China's influence in Latin America poses a threat. Nearly half of all Americans - 48 percent - believe the United States should pursue more free trade agreements with Latin American nations, while 36 percent are opposed, according to a new poll by Zogby Interactive. The poll of 7,362 adults in the United States was conducted between July 27 and 30 and has a margin of error of +/– 1.2 percentage points. The results come as a separate poll shows strong support in Latin America for free markets (see Free Markets? Yes, Please). They also coincide with delays in the U.S. Congress for approving U.S. free trade agreements with Colombia, Panama and Peru. The three deals were signed in November 2006, June 2007 and April 2006, respectively. "I am reasonably confident that P<?xml:namespace prefix = st1 ns = "urn:schemas-microsoft-com:office:smarttags"/>eru and Panama will get approved [this year], but I would not bet the ranch," says Peter Hakim, president of the Inter-American Dialogue, a Washington think tank that collaborated with Zogby on the poll. "Colombia has no chance of ratification this year. I think there is a 50-50 prospect next year, if Colombians try to address the Democrats' ...concerns." <?xml:namespace prefix = o ns = "urn:schemas-microsoft-com:office:office"/>However, the Zogby poll doesn't not necessarily contradict the growing protectionist sentiment in Congress, Hakim says. "American support for free trade had declined significantly over the years," he says. "Certainly to the extent congress reflects public opinion, support is ebbing." The support for free trade also appeared to contradict what Americans think of the North American Free Trade Agreement (NAFTA), the free trade pact with Mexico and Canada that went into effect in 1994. Almost half of Americans - 48 percent - say the United States has been hurt the most by NAFTA, while only 16 percent say the United States has benefited most from the pact. When asked about the U.S. trade embargo against Cuba, 56 percent said they favored lifting it, while 37 percent oppose that. Meanwhile, Americans are also concerned about the growing Chinese influence in Latin America, the Zogby poll shows. A whopping 83 percent believe China in Latin America poses a threat to the United States. Only 10 percent believe China in Latin America is not a threat. “The poll results on China suggest a huge gap between U.S. public perception and reality,” Hakim said. "Among the range of issues that are meaningful to U.S.-Latin America relations and to the region's economic vitality, I must say that China, as a threat to the U.S. in our own hemisphere, does not rise to the top of the list...China's involvement with Latin America, although increasing, simply cannot compare to long-standing commercial, political, and social ties that Latin America has had with the U.S. and Europe. Any threat from China is among the lower-priority worries the U.S. faces in the region. 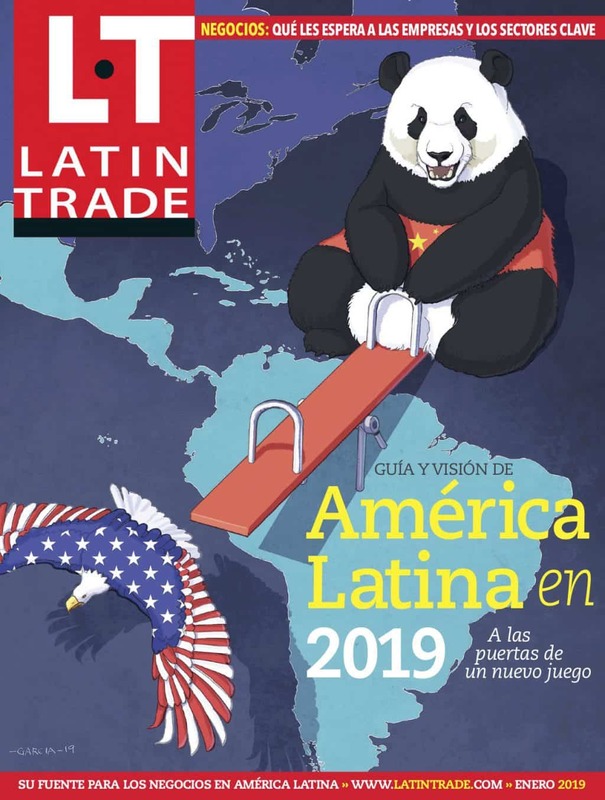 Indeed, many observers believe that Chinese involvement in Latin America will, in the end, benefit all parties—the U.S., Latin America, and China." However, the poll does support the opinions expressed by the China-Latin America Task Force of the Center for Hemispheric Policy at the University of Miami recently (see China Undermines U.S. in Latin America). "A number of members of the task force noted that Chinese engagement with Latin America is undermining the spread of democracy and the U.S. agenda in the region," the task force said in a report. Americans are split on how they see Latin American leaders. 31 percent say the region mainly has anti-American leaders, while 27 percent say the opposite and 32 percent say neither is the case. A majority (68 percent) gave President George W. Bush's handling of Latin American affairs a negative rating. A majority (55 percent) say the United States benefits from migrant workers from Latin America. Mexico is seen as the most helpful ally in Latin America, while Venezuela is seen as the least helpful ally. More Americans believe Venezuela is the most influential country in Latin America, ahead of the region's top two economies, Brazil and Mexico.